Short Bags - Out On a Limb Short Bag - Tarot Bags, Tarot Cards, Cloths, & More! 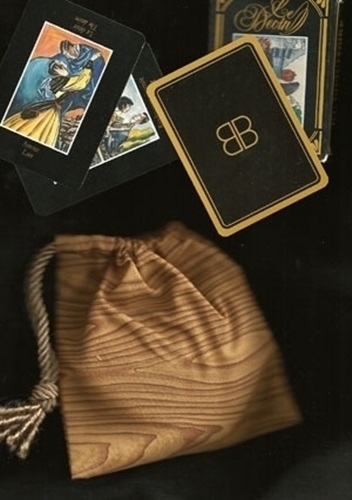 This wood grain fabric, make an ideal bag to store wooden runes, a small oracle deck, or mini sized tarot deck. Color scheme: golden oak with brown. Cord is brown.